Immigration agents made their way through several 7-Eleven stores around the country, including South Florida. NBC 6 Reporter Jamie Guirola has more. Immigration agents descended on dozens of 7-Eleven convenience stores before dawn Wednesday to begin checking on employees' immigration status in what officials described as the largest operation against an employer under Donald Trump's presidency. The agency said officials targeted about 100 stores nationwide and served audit notices in 17 states including California, Florida, Illinois, Maryland, New Jersey, New York, Pennsylvania and Texas, as well as Washington, D.C. Twenty-one people suspected of being in the U.S. illegally were arrested. It broadened an investigation that began four years ago with a case against a franchisee on New York's Long Island, and the audits could lead to criminal charges or fines over the stores' hiring practices. The action appears to open a new front in Trump's expansion of immigration enforcement, which has already brought a 40 percent increase in deportation arrests. 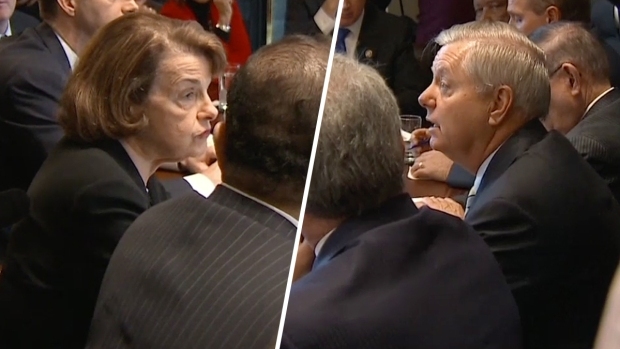 Lawmakers from both sides of the aisle agree on the need for legalizing young immigrants under DACA, but cannot agree on the timeline for tackling border security. President Donald Trump, meanwhile, has proposed a two-step plan for comprehensive immigration reform by taking care of DACA and border security first before attempting to reform the country's immigration system itself. Derek Benner, a top official at U.S. Immigration and Customs Enforcement, said Wednesday's operation was "the first of many" and "a harbinger of what's to come" for employers. "This is what we're gearing up for this year and what you're going to see more and more of is these large-scale compliance inspections, just for starters," said Benner, acting head of ICE's Homeland Security Investigations, which oversees cases against employers. In Los Angeles' Koreatown, seven agents who arrived in unmarked cars closed a store for 20 minutes to explain the audit to the only employee there, a clerk with a valid green card. Agents told arriving customers that the store was closed briefly for a federal inspection. A driver delivering cases of beer was told to wait in the parking lot. The manager was in Bangladesh and the owner, reached by phone, told the clerk to accept whatever documents were served. Agents said they would return Tuesday for employment records they requested. After the inspections, officials planned to look at whether the cases warrant administrative action or criminal investigations, Benner said. "It's not going to be limited to large companies or any particular industry, big medium and small," he said. 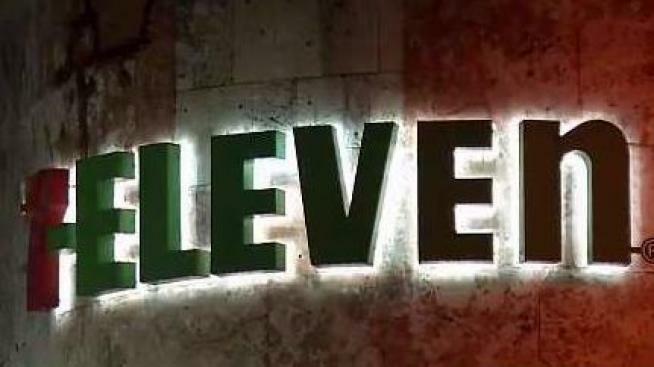 7-Eleven Stores Inc., based in Irving, Texas, said in a statement that the owners of its franchises are responsible for hiring and verifying work eligibility. The chain with more than 8,600 convenience stores in the U.S. said it has previously ended franchise agreements for owners convicted of breaking employment laws. Unlike many previous enforcement efforts, Wednesday's actions were aimed squarely at management. Illegal hiring is rarely prosecuted, partly because investigations are time-consuming and convictions are difficult to achieve because employers can claim they were duped by fraudulent documents or intermediaries. Administrative fines are discounted by some as a business cost. "We need to make sure that employers are on notice that we are going to come out and ensure that they're being compliant," Benner said. 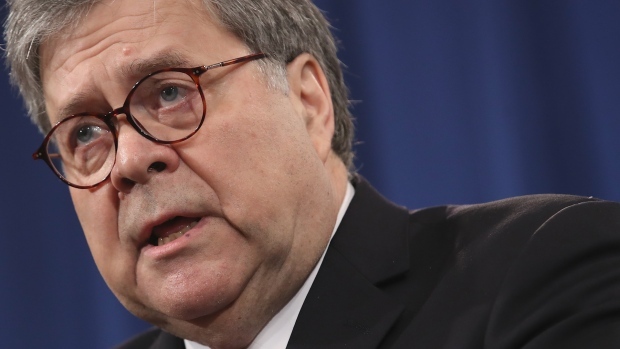 George W. Bush's administration aggressively pursued criminal investigations against employers in its final years with dramatic pre-dawn shows of force and large numbers of worker arrests. In 2008, agents arrived by helicopter at the Agriprocessors meatpacking plant in Postville, Iowa, and detained nearly 400 workers. Last month, Trump commuted the 27-year prison sentence of Sholom Rubashkin, former chief executive of what was the nation's largest kosher meatpacking operation. Barack Obama's administration more than doubled employer audits to more than 3,100 a year in 2013, shunning Bush's flashier approach. John Sandweg, an acting ICE director under Obama, said significant fines instilled fear in employers and draining resources from other enforcement priorities. Wednesday's operation arose from a 2013 investigation that resulted in charges against nine 7-Eleven franchisees and managers in New York and Virginia. Eight have pleaded guilty and were ordered to pay more than $2.6 million in back wages, and the ninth was arrested in November. In the 2013 investigations, managers used more than 25 stolen identities to employ at least 115 people in the country illegally, knowing they could pay below minimum wage, according to court documents. Neither 7-Eleven nor was its parent company, Seven & I Holding Co. based in Tokyo, was charged in that case. Julie Myers Wood, former head of ICE during the Bush administration, said Wednesday's action showed that immigration officials were focusing their enforcement efforts on a repeat violator. Part of the problem, Wood said, is the lack of "a consistent signal" that the U.S. government will prosecute employers who hire immigrants without legal status. Changes in immigration programs between administrations, like the Obama-era program shielding young immigrants and other programs offering temporary protected status, add to the difficulty of keeping track of workers' statuses, said Wood, who is now CEO of the consulting firm Guidepost Solutions.